Rev. 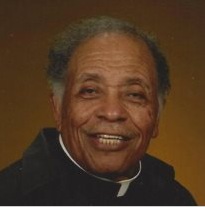 Ulysses S. Rice, Jr. (1925-2014) was the great grandson of Henry and Mary Smith. Emory Wallace Vance, Sr., my grandfather, was Henry’s sister’s, Jane Smith Johnson McCoy’s grandson. 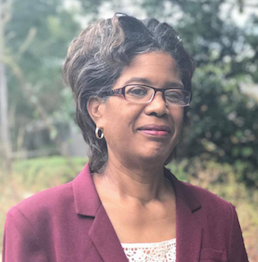 With African American genealogy, the simplest relationships have to be scoured over again and again. I had at one time the oral history of Rev. Ulysses S. Rice, the letter of my grandfather, the historical findings I came across, a cousin, J. Martin Wall with Rev. Rice over the phone nightly to go over what I had found each day. I never got to meet Rev. Rice, but I am so glad I was able to prove that he was our cousin through my grandfather’s letter and by me finding historical documentation. Interview with Rev. Ulysses Rice, Washington, DC, by Pat Whitehead. Copy held by Robin Foster in 2019 (1441 Ireland Dr. #B, Fayetteville, NC). Rev. Rice has since deceased. Rev. Ulysses S. Rice, Jr.’s mother was Willie Ruth Cannon Rice. She was married in Buncombe County, NC to Ulysses Rice on February 4, 1925. Willie Ruth Cannon Rice. Submitted by Rev. Ulysses S. Rice, Jr. of Washington, DC. 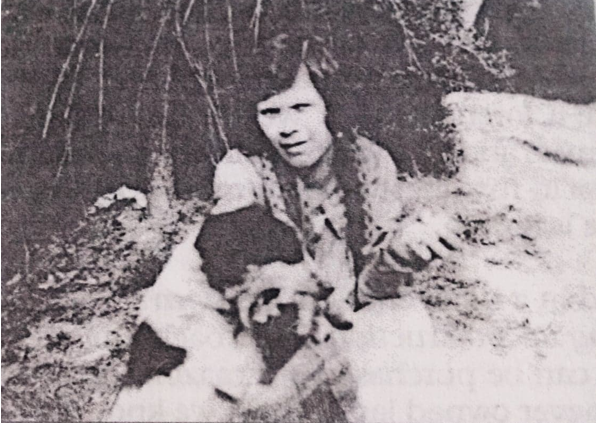 I had traced the first child, Minnie Smith Cannon, from Henry and Mary Smith. 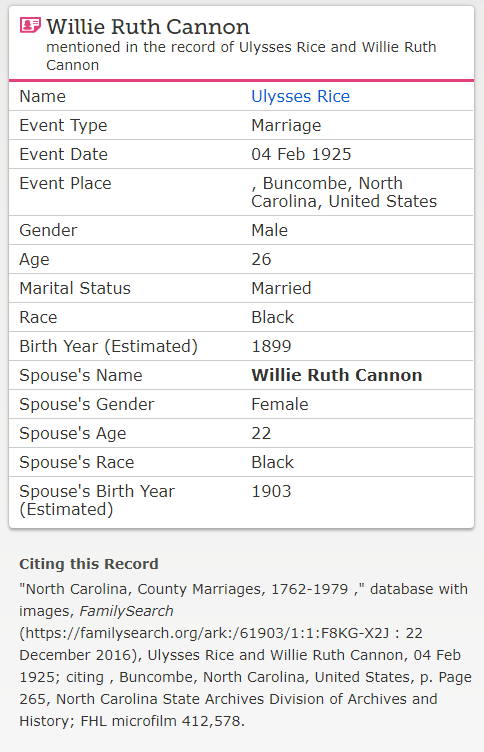 Then I found his mother, Willie Ruth Cannon Rice. All this was done right before I was given my grandfather’s letter. I had no idea he was related at this point. 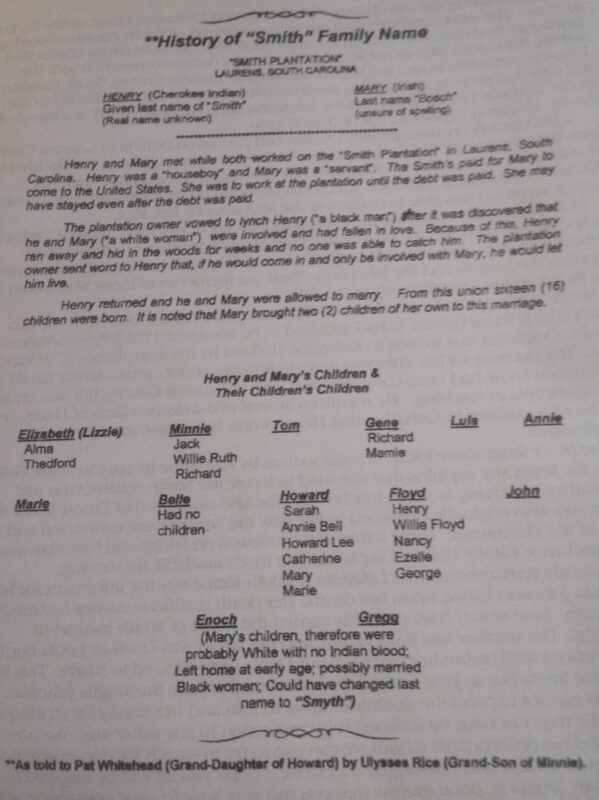 I traced the family backwards from Washington, DC to North Carolina to Laurens County, SC. I am able get on the internet and find descendants of Rev. Ulysses S. Rice, Jr., and they can have this historical documentation. There is so much more that we can discover. I have mostly used census records here. What other records can you think of using? Put your ideas in our Facebook Group. “United States Census, 1920,” database with images, FamilySearch (https://familysearch.org/ark:/61903/3:1:33S7-9RJY-X9Q?cc=1488411&wc=QZJB-7PK%3A1036472401%2C1037306601%2C1037330601%2C1589332332 : 14 December 2015), South Carolina > Laurens > Laurens > ED 65 > image 25 of 30; citing NARA microfilm publication T625 (Washington, D.C.: National Archives and Records Administration, n.d.). “United States Census, 1910,” database with images, FamilySearch (https://familysearch.org/ark:/61903/3:1:33S7-9TXN-9KP5?cc=1727033&wc=QZZH-X25%3A133639901%2C139335901%2C139393801%2C1589089182 : 24 June 2017), South Carolina > Laurens > Laurens > ED 54 > image 19 of 34; citing NARA microfilm publication T624 (Washington, D.C.: National Archives and Records Administration, n.d.). “United States Census, 1900,” database with images, FamilySearch (https://familysearch.org/ark:/61903/3:1:S3HT-67KW-39D?cc=1325221&wc=9B77-VZP%3A1030550901%2C1032752401%2C1032803701 : 5 August 2014), South Carolina > Laurens > ED 61 Waterloo Township (west part) > image 20 of 38; citing NARA microfilm publication T623 (Washington, D.C.: National Archives and Records Administration, n.d.).